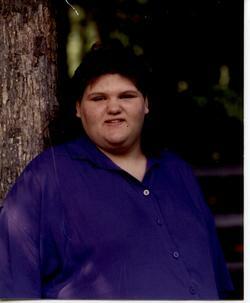 Marlene D. Beaver, 42, died at 10 a.m. Saturday, February 1, 2014 at her home after a yearlong battle with cancer. Marlene was born in Chanout, Ill., on June 14, 1971,the daughter of the late Clyde W. Beaver Jr. and Mary E. (Buckius) Beaver. Marlene was a 1989 graduate of Springfield Local High School and attended the Church of God in New Springfield. She was employed as an assistant manager for 31 years at the Beaver Care Center in Petersburg, retiring in 2010. Survivors include a brother, Michael S. Beaver of Salem; a sister, Christina J. Beaver of New Springfield; two nieces, Mary E.V. Yuhas of East Palestine and George Ann M. Yuhas of Dayton; and three nephews. Private viewing for the family was held on Sunday at the Stark Memorial Funeral Home. Burial will be held at a later date at Green Haven Memorial Cemetery in Canfield.